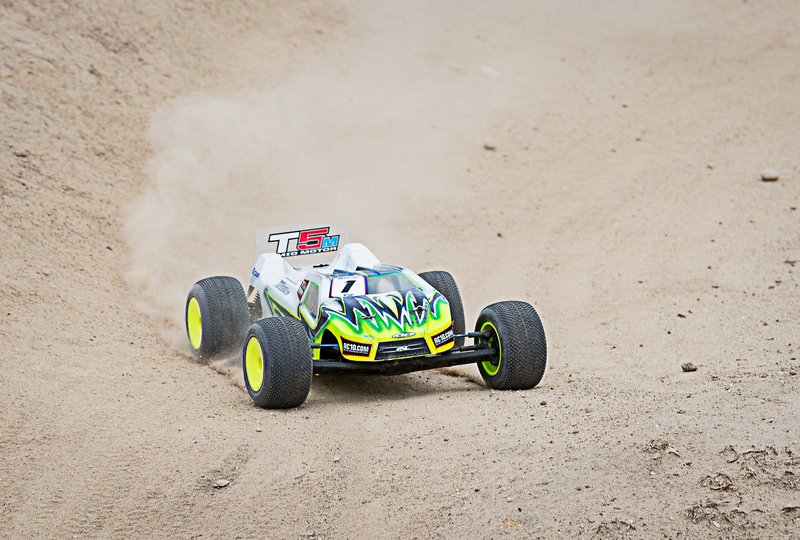 The nonprofit Treasure Valley R/C Racers Club and the City of Eagle are moving forward with plans for a two-acre, off-road track where small-scale remote-controlled buggies can race. The two-acre project is slated for the Ada/Eagle Sports complex at Floating Feather and Old Horseshoe Bend roads. Eagle Hills R/C Raceway could be running this fall, according to club board member Mike Lavarello, an Eagle firefighter and longtime RC racer. The track site is in the center of a banked oval tabbed for eventual road bicycle racing. “This is a partnership with the City of Eagle and Treasure Valley R/C to open up an off-road national-caliber RC race track that anyone–from novice to expert, and from children to the elderly–can enjoy,” Lavarello explained. The club, the city and some local contributors entered into a five-year use agreement, which will cover much of the construction cost. The club won’t be charged rent, but will maintain the track and occasionally modify it. “The growing demand for an RC racing track is a reflection of the improving economy, the club’s interest in attracting major races with competitors from beyond southwest Idaho and this past year’s closure of a north Boise track on a site tabbed for another use,” Lavarello said. Club leaders are interested in creating a race series with Bro’s Speedway and Hobbies, which operates an off-road track in Homedale. •Full amenities, such as compressed air and tire washing stations. Racing season likely would run from around May through October, with midweek practice sessions on a watered surface. Club races will run every other weekend, with events benefiting local causes and ideally, some national-level competitions. 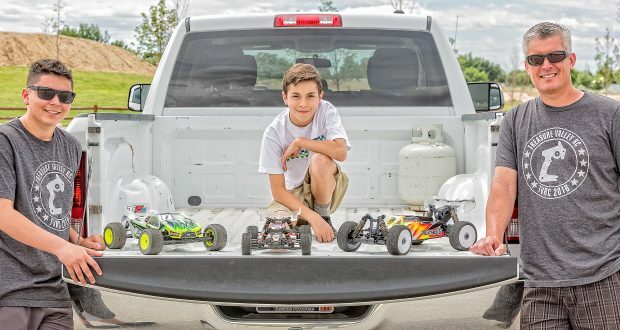 “What kid does not like RC cars?” said the 44-year-old Lavarello, who grew up in Los Angeles and got into the hobby with his father. 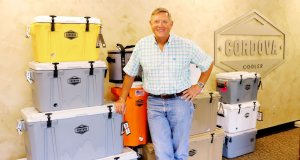 He said his own 15-year-old son, with whom he races locally and regionally, has learned sportsmanship, mechanical skills and how to simply enjoy a hobby. In late April, the father-and-son team participated in a Yakima, Washington regional championship that drew more than 300 entrants. An off-road, two-wheel drive remote-control buggy that runs on a battery can cost about $130. Bigger, four-wheel buggy kits that are battery or nitro-fuel powered range from $1,800 to $2,000, according to Meridian-based Action Hobbies. 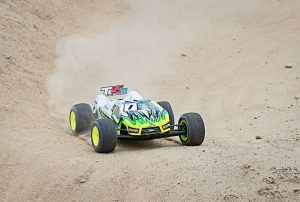 Racers must maintain, tune and outfit the buggies for different track conditions, such as carpeted or rock-crawl layouts. Lavarello said the club is building on the earlier efforts of Capital Dirt Burners, which for years ran the former north Boise track. Treasure Valley R/C had about 30 members as of early May and Lavarello estimates the club could grow to around 100 total members. Individuals paying $30 per year get race-entry discounts and an opportunity to have input, including possible board service. Board members as of early May were Ben John, president; Steve Blackmer, vice president; Christopher Smith, secretary; Jesse Walz, track director and Lavarello, treasurer.